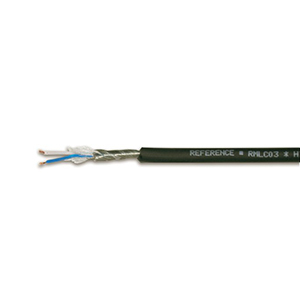 The RPC15 is a speaker cable, 4x2.5, AWG13. 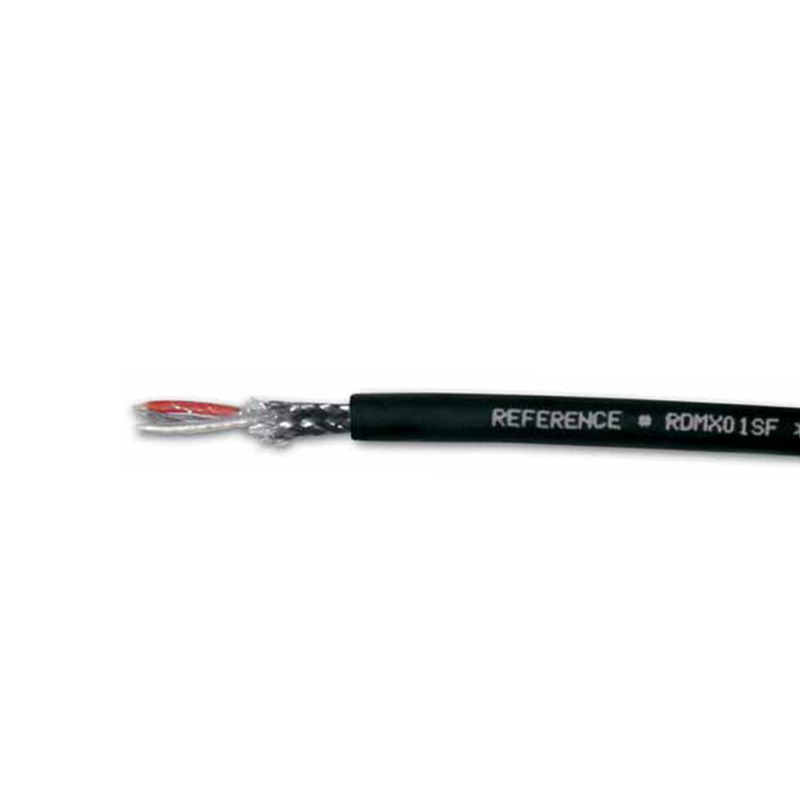 The RPC16 is a multistrands Speaker cable -8x1.5 AWG15. 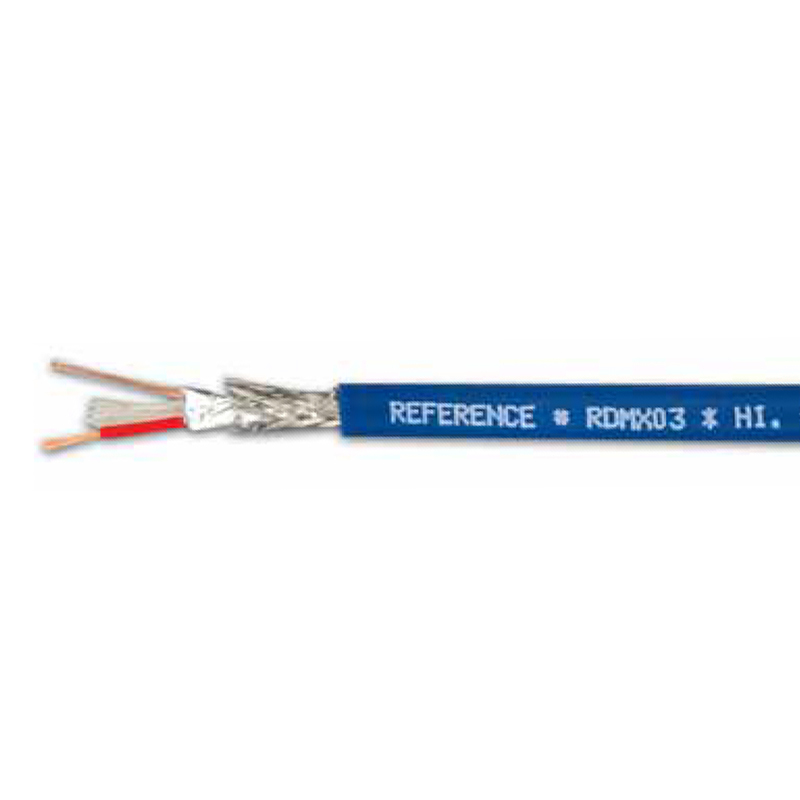 The RPC31 is a speaker cable (8 x 2.50mm2)with a special jacket superflex. 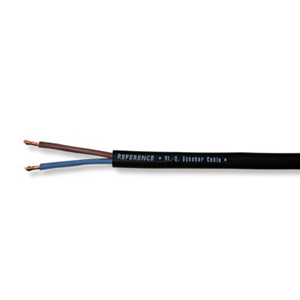 The RPC26 is a speaker cable flexible series with a special jacket superflex. 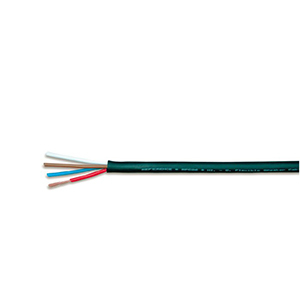 A DMX cable 2x0,34mm, blue. 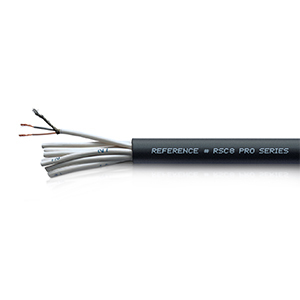 The RPC27 is a speaker cable 2 X 4.0 for Sound Reinf sized W= 11,0mm. 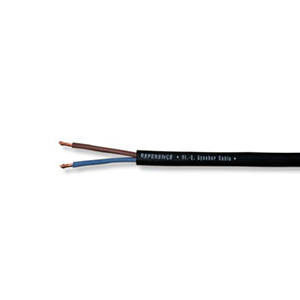 The RPC14 is a speaker cable with 2x2.5 AWG13, Flame resistant, W= 8,4mm. 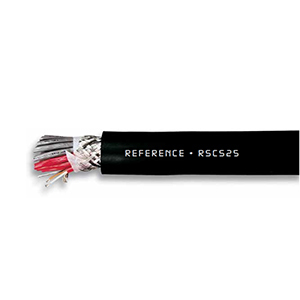 The RSC24 is a 24 pairs microphone cable with 28x010 AWG24 and W= 21,2mm. 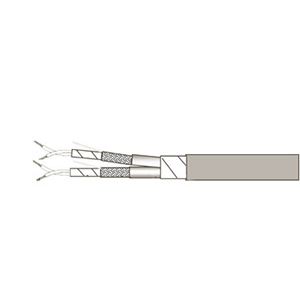 The RSC8 is an 8 pairs microphone cable with - 28x010 AWG24 and W 12mm. 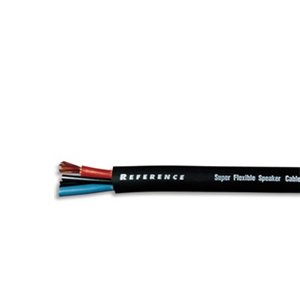 The RDMX02SF is a 2 pairs DMX with super flex jacket, 120 Ohm and W=12,70mm. 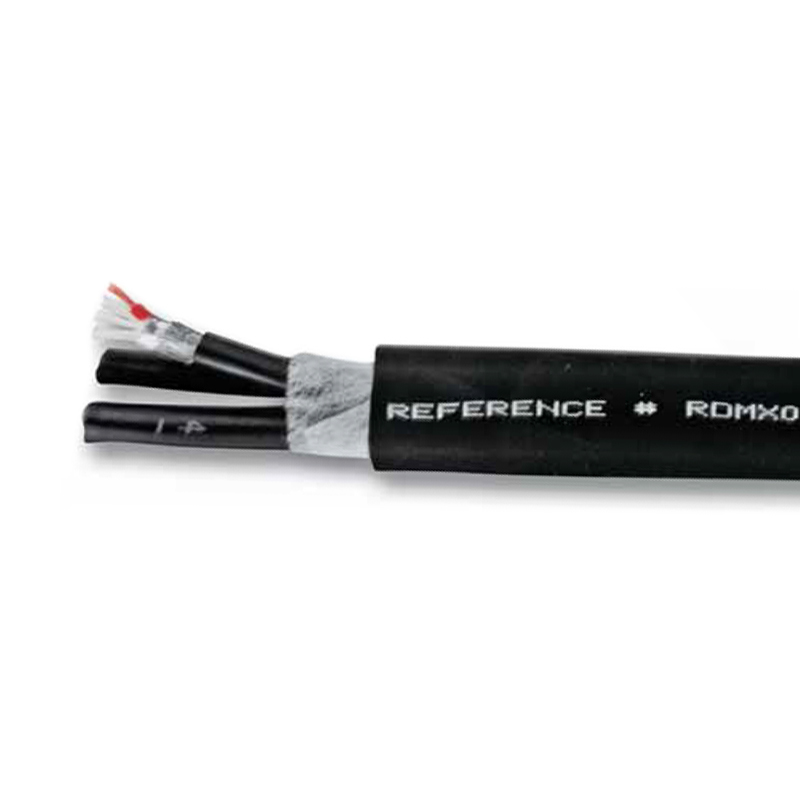 The RDMX04 is a Multicore 4 pairs DMX cable with 0,34 AWG22 120 Ohm superflex PVC and W 30mm. 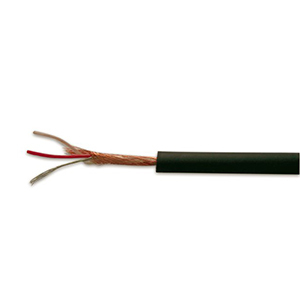 The RMLC04 is a microphone cable in color black, designed for general audio applications. 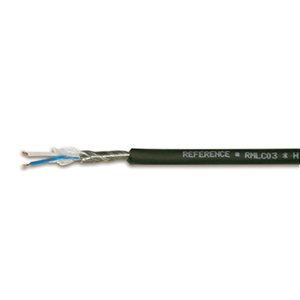 RMLC03 is a microphone cable in black for microphone and patch connections, XLR extesion cable, Line level connections and Intercom connections. 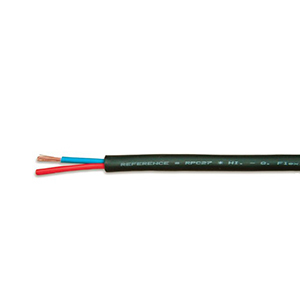 A lighting DMX with: 120 Ohm, Super flex cable jacket, Black. 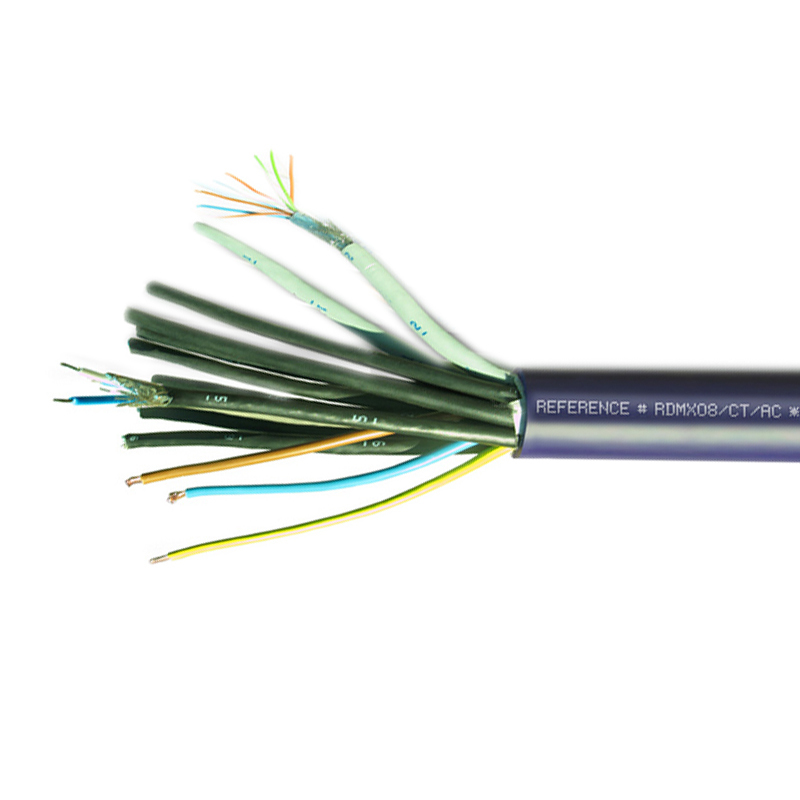 RDMX08/CT/AC is a composite cable. 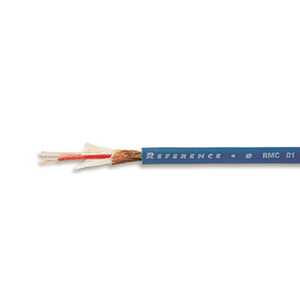 The RMLC is a standard microphone cable series designed for general audio applications.